Someone who blogs tends to be someone who is angry (and/or arrogant) enough to believe that they should try to influence it in some way. On my other blog I write about more serious matters. Here I try to keep things to the fun level. Now, there’s one subject that is fun for me, that however I am as firm in my views about as I am about the other stuff I write about: Good beer. Earlier this year I came across an article written for Irish football fans (can’t remember the link), whereby the sentence “Poland is rightfully not well known for its beer” was included. The article went on to review Żywiec, Tyskie, Warka, Żubr and Lech, going on to say that Tyskie is the best beer of the lot. 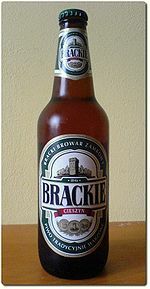 Certainly, these beers are the ones most commonly sold in shops and bars and are the ones most commonly drunk in Poland. Let me tell you though, these beers are some of the worst beers that are drunk in Poland. There are some bargain-bucket type beers, the type of beers drunk by alcoholics, ones that cost less than 2 złoty; those are worse beers. From Lower Silesia we have the Lwówek brewery, and they produce a very nice lager called Lwówek. It’s not a water-with-alcoholic-flavour type of beer like the aforementioned beers, rather, it has a body, and a nice taste. There are also Lwówek Ksiąźęcy (a slightly sweeter and heavier variant) and Lwówek Ratuszowy (a more ale-like beer). 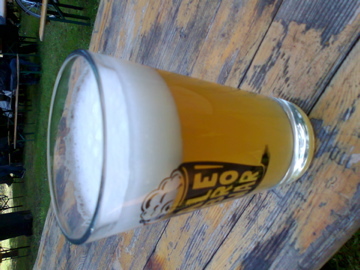 The brewery also do the cheap but good Wrocławskie. 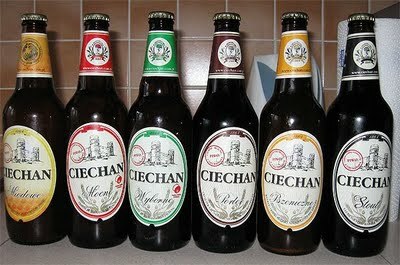 Ciechan produce a good range of beers, including the standard beer Ciechan Wyborne (fairly tasty), Ciechan Miodowy (with honey, a very nice beer), Ciechan Mocne (strong), Ciechan Porter (a sweet dark beer) and a Ciechan Stout. From the Fortuna brewery a number of very nice beers can be brought, the Miłosław Pilzner (a light ale, enough to leave an aftertaste. Slight hint of sweetness, though with a mix of peppery undertones), Fortuna Czarna (black sweet), Fortuna Wiśniowa (cherry beer), Fortuna Miodowa (learn this word, it means “Honey beer”), Miłosław Przeniczne (another word to learn, it means “wheat beer”) and Miłosław Kożlak (a dark beer). Namysłów is a cheap beer (costs about 2:10 złoty) but is quite good. It’s a lager with body and a nice aftertaste. From Olsztyn we have Komoron. That’s another dark beer that is lighter than, say, the various Kożlak beers, but still worth a drink. 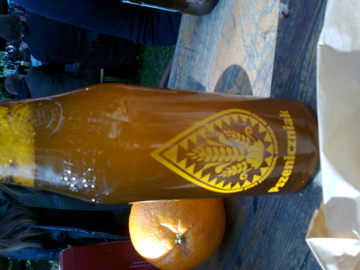 Okocim is a fairly mainstream lager, but I am a great fan of their Okocim Pszeniczne. It’s a sweetish-wheatbeer with body. It’s a lager with a body and a very nice aftertaste. Worth trying if you can get hold of it. Perła, the beer of young people who like to leave the empty bottles lying in nature, is not bad. Recently I went to a party in a pub where they only had Żywiec. I stayed clear of the lager, and was glad to see that they also had their very nice Żywiec Porter and their Żywiec Bock (a sweeter heavier darker variant). From the Czech Republic we have Staropramen, a light beer with a crunchy taste. Kruśovice, one of my favourite dark beers also tends to be available in good places. From the Ukraine we have Obolon. Their wheat beer “Obolon Bile” (Bile means “white”, not bile, that’d be disgusting) is one of my favourite wheat beers full stop, really, I’d put if up there with Paulanar and Augustinier Weissbier. 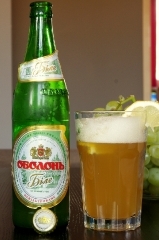 Otherwise Obolon do a fairly nice lager. Perhaps you know some other beers you’d recommend in the comments underneath? Where, then, to buy these beers? Here in Wrocław we are lucky in having the shop Piwosz on Zieromskiego, a shop with loads of selection and also a friendly service. For bars there are Zakład Usług Piwnych and Academus by St. Elizabeth’s church in town. In Kraków there’s the House of Beer. I’d fully recommend that you try these beers out. Slowly more and more people in Poland are drinking better beers, and this means that even the local small shops is beginning to sell good beers, and not just the big five.